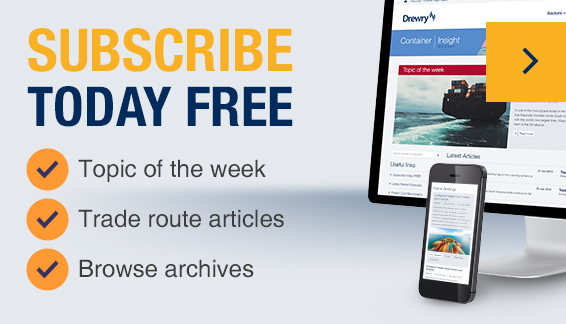 Rahul leads dry bulk research at Drewry and is the editor of Drewry’s flagship publications, Drewry Shipping Insight and Dry Bulk Forecaster. Rahul has been working on shipping and economic research for the past ten years. He joined Drewry in 2008 and has been handling all Dry bulk publications for past six years. He studied research methodologies with the research team at University of Namur, Belgium in 2005. In the capacity of lead research analyst Rahul has worked on a number of advisory assignments including handling the dry bulk part of a major study to prepare a report based on primary data compilation on Indonesian coastal trade, Competitive route analysis for dry bulk commodity trade, time charter assessment and forecast, etc. In addition, he has also been working on consultancy assignments on ports and dry bulk freight market strategy. He is a regular guest speaker on various facets of dry bulk market at various international conferences and regularly contributes to leading industry magazines and journals such as International Bulk Journal.